The job market and hiring landscape is changing at a rate of knots. The way that employers find and choose candidates is changing and the way that you as job seekers look for jobs also needs to change, that is if you are to maximize your chance of finding a new job and progressing your career. 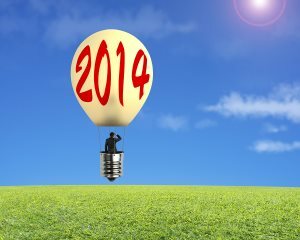 And below, I have set out five new year resolutions for job seekers in 2014, based on current trends in hiring practice. 1. Phone a Friend. While jobs board are effective, they are also overrated and are not the only way to find a job. In fact, research tells us that the most effective way to find a job is to get referred by a friend or contact. As well as this, a study shows that you are twice as likely to land an interview and have a 40 percent better chance of being hired if you are referred. So, before you apply for a job, check out a site like Glassdoor to see what percentage of interviews come from referrals (e.g. Google 23%) and scour your network for contacts at the company who can refer you to that employer to boost your chance of employment. Phoning a friend is now one of the most effective ways to find a job. Research from Booz Allen Hamilton and others has shown that in the globalized business world, employers are beginning to value inter-cultural adaptability as much as experience and technical knowledge. Two key areas of inter-cultural adaptability were, “being able to speak a second language,” and “having experience of and being able to adapt to other cultures.” So, if you can increase your inter-cultural adaptability, you will increase your level of employability and earnings potential above today’s baseline. Average tenures are now under five years; the job for life is all but gone; and employers are becoming increasingly dependent on contingent workers, i.e. freelance, temporary and part-time. In such a climate, if you focus purely on finding permanent, full-time work with one employer for the foreseeable future, you may be limiting your employment chances as these opportunities are dwindling. Yet, at the same time, there is a corresponding surge in contingent work available through sites like elance and Odesk, or which can be found simply by phoning employers. It’s possible to build a stable, long-term career, not just through one job, but through a balanced portfolio career comprising a mix of freelance, part-time or temporary work. And all workers should embrace this to maximize their employment prospects in 2014. 4. Try a new job search technique. It can be easy to get stuck into the same job seeking routine. If it works for you, fine; then maybe you don’t need to change it. But, if you can’t get interviews, or can’t get them fast enough or simply can’t get them with the employers that you want, then try something new. It could be a video resume, an infographic (which are 3-5 times more likely to be shared than text documents), or making an innovative, speculative job approach to targeted employers. Make this the year where you change your job search technique(s). It’s official: Employers like to hire people who they like, who they think can fit into the culture and who they think they can be friends with(this study and others prove it). Now, there are certainly issues with this brand of culture fit hiring (in that it can lead to cults, naturally), but if you can’t get a job, research your employers carefully and target employers where you have the same hobbies, interests and outlook. Demonstrate this at interview and you will massively increase your chances of being hired.